In the late 1930’s, a young prodigy in the North Indian classical dance called ‘Kathak’, journeyed from a village near Jaipur in Rajasthan to the south, to a town called Bangalore: his name was Shri Sohanlal. Destiny was at work. In those days it was unthinkable that this form of art would be accepted by the traditional south. Nevertheless, his mastery of the art was admired and spread to every bastion of the artistic-minded people of the south. Another young prodigy, at the tender age of 7, was earning a livelihood for her family by giving tuition to her co-students and to others in her neighbourhood. Her name was Kantha Devi. Destiny was at work. She joined the dance school of Shri Sohanlal and soon excelled in the art of ‘Kathak’. Her father, Shri Rudramuni, the head master of a school, passed away leaving behind his wife and five children, the eldest being Kantha Devi, aged 13. These two prodigies Shri Sohanlal and Kantha Devi met in matrimony. She, as a voracious reader, mastered theology, religion and spiritual texts and practices. Art was wedded to literature. Destiny was at work. Shri Sohanlal performed his art in London in 1939. Accolades filled the columns of the western press. The Sunday Times, 30th July 1939, Ballet from the East: ‘…Sohanlal’s dance of Storm God was probably the most expressive individual achievement of the evening…’ The Daily Telegraph and Morning Post, 26th July 1939, ‘…it is the dancing Sohanlal which will draw all London to the Aldwych…’ Cavalcade, 3rd Aug 1939, ‘…Sohanlal’s dance as the Storm God invoking the spirits of Thunder and Rain is a “tour de force”…’ Daily Telegraph, August 1939 by Beryl de Zoete ‘…His dance has superb rhythm and a variety of expression that burst with him into sudden flame. His vehement energy can only be compared with Nature itself…’ The Daily Telegraph and Morning Post, 8th Aug 1939, ‘…The tension of this dance is terrific, from the moment when the dancer whirls on to the scene…’ and the New Statesman, 18th November 1939. ‘…Another tempestuous Sohan Lal overwhelming, concentrated drama and vertiginous rhythm…’ His picture adorns the walls of the British museum. He introduced a different flavour to dance on the celluloid screen, the popular Bollywood cinema. He was known as ‘Masterji’ to one and all in Bollywood. His generosity and caring nature is legendary in Bollywood. He groomed many choreographers, who now rule the Bollywood cinema, and this includes his nephews and a grand niece. His demise took place in 1980. So he, a dancer bathed in light, she a prodigious fountain for sacred text, theology, religion and various forms of spirituality were brought forth by life, for the love of life, to give birth to seeds of greatness – not the greatness of man’s kind, wealth and power – but of enlightenment. Shri Sohanlal, though without formal education himself, reminded his wife that ‘if his children understood another human being, that would be the best education to possess’. Nevertheless, all his children excelled in their branches of learning: engineering, medicine, commerce and child psychology. Their first son Ravi was born in 1948. He was channelled not into art, but into education, and became an engineer. He went to the United States for further education and, having learnt what he wished to, returned to India, realizing the mystery that life is. From an early age he revelled in deep insights into life. He shared his insights with their second son, Vijai, who was born in the year 1949. The third child, a son Hari, the fourth child, a daughter, Anuradha, and the fifth child, a son, Devendra were born to them. Shri Ravi’s sharp insights into life such as ‘Consciousness is the first illusion of Awareness’propelled Vijai to understand, later in life, that the deepest corner of the mind is illusory! Shri Ravi shared his wisdom with his family. He attained Maha Samadhi in 2003. His enlightened state remained unknown to the public at large. As life, in its wisdom, shapes all our lives and prepares us for reasons it alone can know, so it was with Vijai: he was not to engage in the field of engineering, where his mind was urging him, but in medicine and science. Medicine and science brought him closer to smaller units of life. Education had transformed Vijai into Dr. Shankar. Destiny was at work. He practised as a medical doctor in India and Africa. He obtained a PhD in medicine from London. Whilst he was in London, two complete strangers, Shri Dinesh Dave and his wife Kalpna, at their first, chance meeting became his very good friends. They gave him all the support he needed and much more. They housed him, they fed him, and they clothed him and took care for his every monetary need without asking for anything in return. Shri Dinesh Dave passed away in 1994 at the age of 44. To Vijai, Shri Dinesh was a man of deep understanding and a true friend. Later, life took Vijai across the Atlantic to the United States of the north Americas, where he carried out research in medicine. However, his service to medical science was not to continue for reasons life knew best! Destiny was at work. 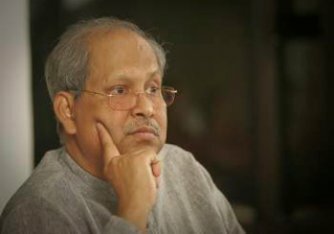 Unshakeable trust in life and understanding of the illusory mind had matured fully in Dr. Shankar, and his revelation of the world of thoughts that we know and experience both surprised and inspired his friends and his colleagues. At the behest of friends, in particular Kalpna, he began to give talks on the illusory nature of life. During the next twenty years, during which Kalpna spared no effort to find opportunities for Dr. Shankar to share his enlightenment with men and women around the world, others were being prepared by destiny to support this effort. Advaita 2000, a charitable foundation in the Netherlands, was to take over the management of all Dr. Shankar’s talks and portfolio under Kalpna’s guidance. It became responsible for preserving and supporting Dr. Shankar’s words of wisdom. Such is the magnanimity and perfection of life that a veritable cast of supporting actors and actresses for an epic film issued forth to support Dr. Shankar as he lived and worked – all unpaid though, and utterly devoted to him. Destiny was at work. There was the care, concern and hospitality of his friends in The Netherlands: in particular Sonja, Rob, Regina, Mrs. Brand-Swaders, Jeen, Lucile, Teun, Riet, Peter and Anna Bakker, Bert-Jan, Harrie, Diny, Dory, Joep and Henk that enabled him to survive in spite of adversities, which to him were illusory and meant to happen, but to others real, that should and could be prevented. Their constant support was invaluable and continues to be so, whilst Susanne, Pierre, Rob, Isolde, Mireille, Marriette, Wim, Gerard, Ine, Elizabeth, Carla, Chris, Gordana and Gijs are ever ready to give a helping hand. In Belgium, Christianne and Jozef, close friends of Shri Nisargadatta Maharaj, treasure Dr. Shankar’s words and host his talks. In Germany, Andreas, Barbara, Hans, Asango, Mahima, Miria, Sigrid, Felix, Hans-Peter and Henna, most of who were with Osho for many years, listen to Dr. Shankar ardently. In Britain, Karen, Brian, Julian, Jenifer, Joy, Rashida, Peter, Christine, and Judy try to spread advaita that pours forth from Dr. Shankar. In Sweden, Jonas, Andreas, Ewa, Johan act as hosts. In America, Lalitha and Bala, on listening to his first talk in Houston, spontaneously addressed him as ‘Swamiji’, meaning the one who has realized his true nature. They used to drive about 100 miles a day in Houston to care for him. They continued to care for seven years until life took swamiji away from the American scene. Archna, Bhupendra and Prakash supported him in every possible way in Houston, while Hari, Bill, Taylor and Russell continue to organize his transatlantic programme. The cast never ceases to grow. The metamorphosis of labels – Vijai, doctor and scientist – ended as swamiji, spontaneously, uncontrollably and unpredictably. Labels were falling off him like leaves from an autumn tree. Destiny was at work. At present, spontaneous talks on enlightenment occur at different venues around the world. At new venues the conditioned mind wishes to know about Dr. Shankar. A Bio-data always necessitates the name, profession, qualifications, experience and achievements, titles of books published and their sales. These are the sine qua non for acceptability, the stuff upon which the ego is built and strengthened. Life appeared as Vijai S Shankar at a specific moment known in records as 1949 C.E; evolved as a doctor, a scientist and has sophisticated now as the Academy of Advaita spontaneously, uncontrollably and unpredictably thus far in the timeless and thoughtless ‘now’ and nameless ‘here’, which is enlightened. Where the story goes from here the mind can never know; what scenes are to unfold the mind can never know. Predictions of any kind would be just a shot in the dark. One merely has to wait in awe and admiration for the intelligence of life to reveal its drama, for destiny is still at work!